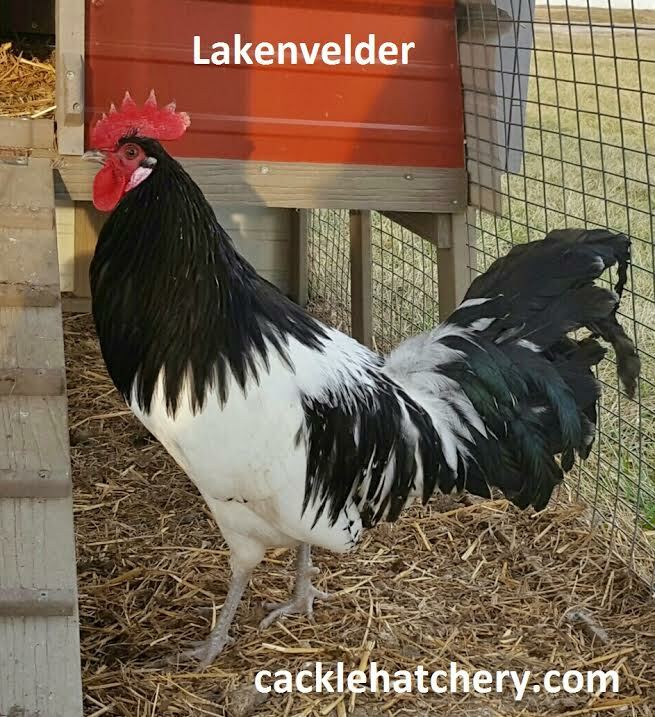 Cackle Hatchery® has the Silver Lakenvelder variety of this breed of chicken. 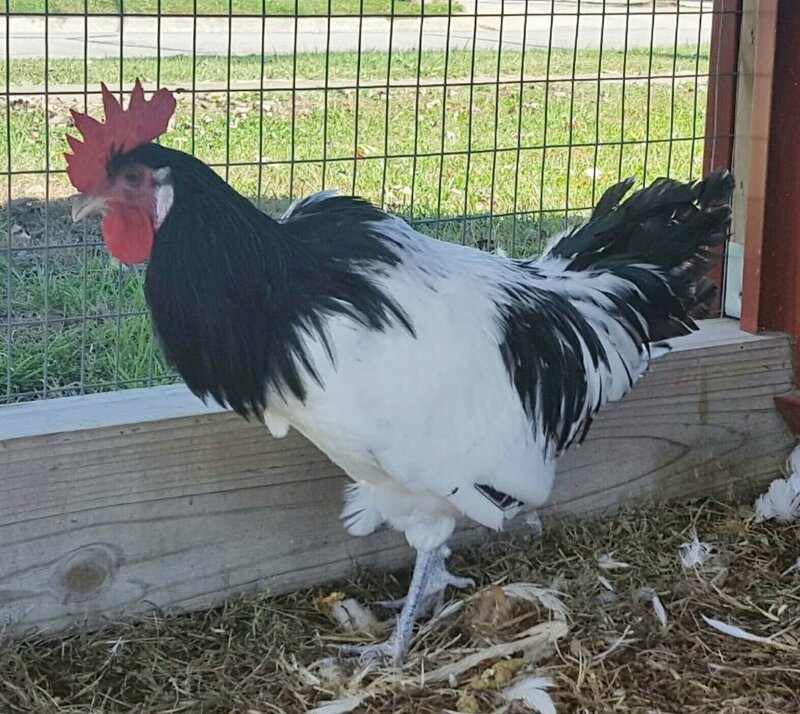 The Lakenvelder chicken breed dates back to the 1830's in Germany. 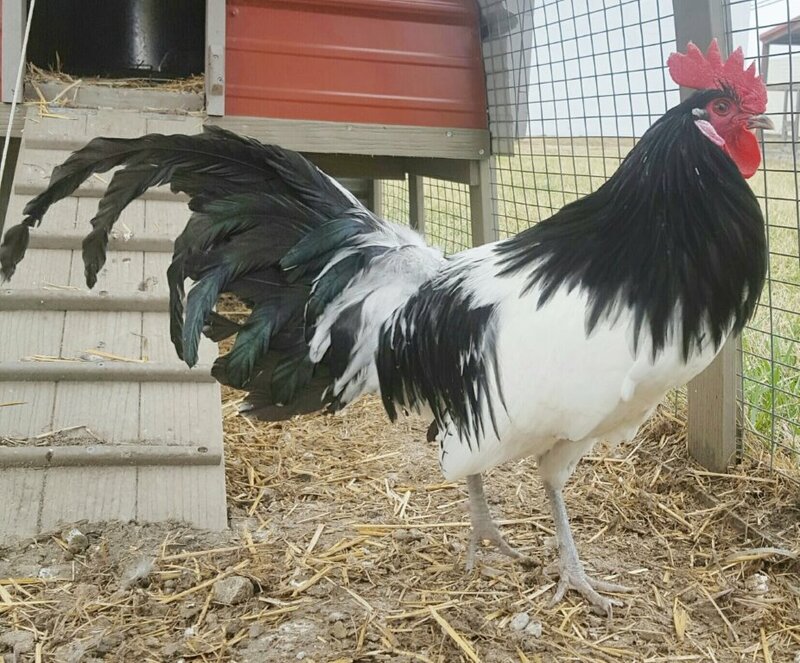 This breed was first exhibited in England in 1902 and was admitted to the American Standard of Perfection in 1939. 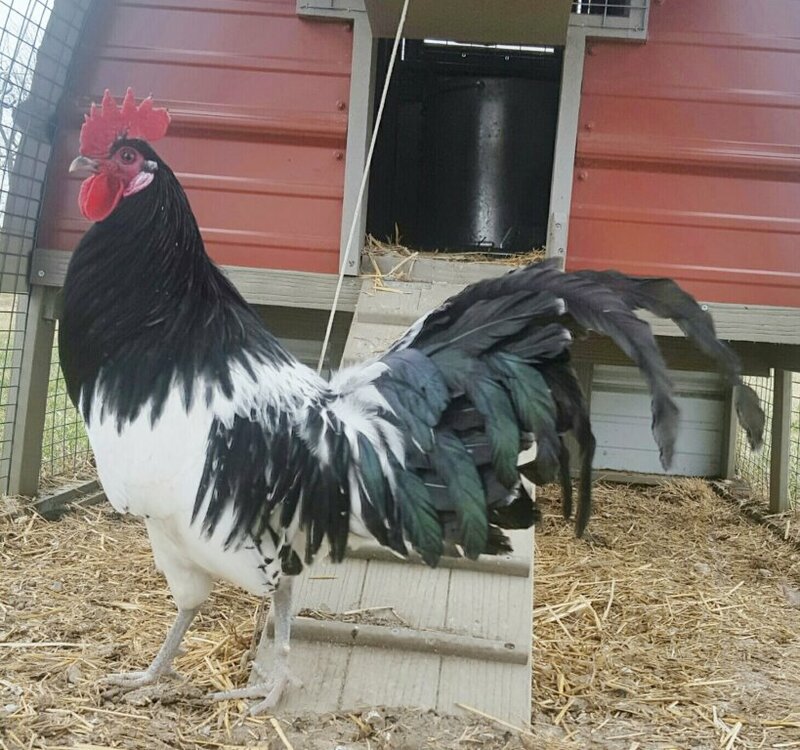 These are one of the most beautiful in appearance of any of our rare varieties with their striking black and white markings and slate colored legs. Very quick and active and foraging widely if allowed to run. 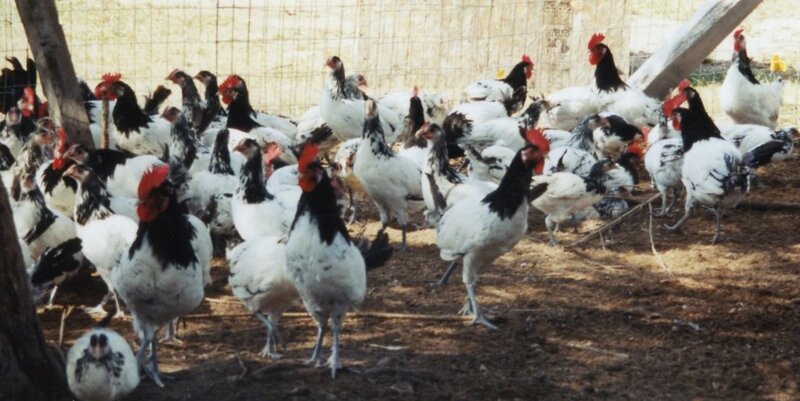 The hens lay white eggs and are non-setters. The name is referred to as "a shadow under a sheet." APA: Yes, Recognized by the American Standard of Perfection in 1939. 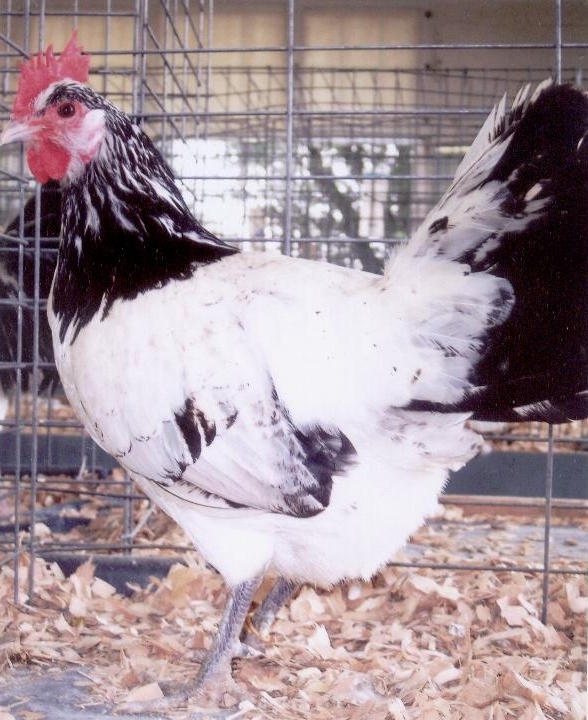 ALBC: Threatened Status, Considered a sustainable heritage chicken breed. 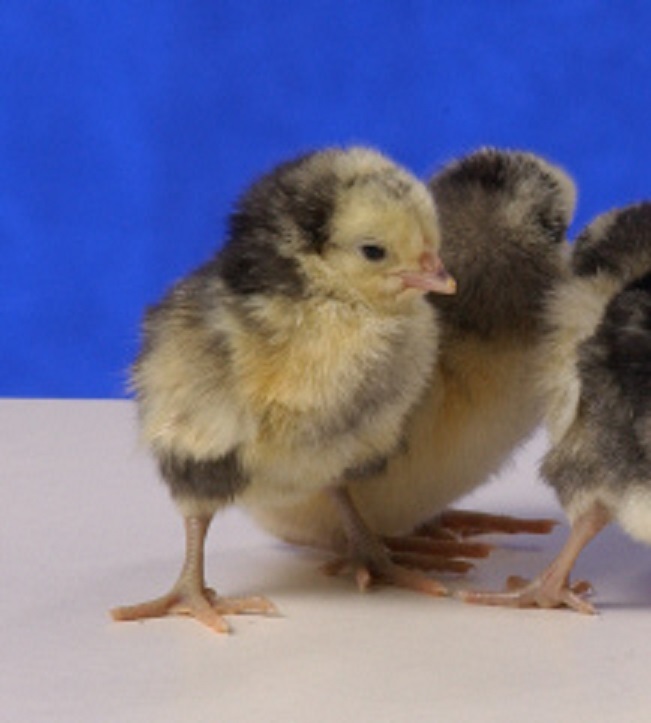 Breeder Farm Source: Cackle Hatchery® Poultry Breeding Farm has been developing our bloodline or strain of pure Lakenvelder chicken since 1979. Got three of these in a hatchery surprise. 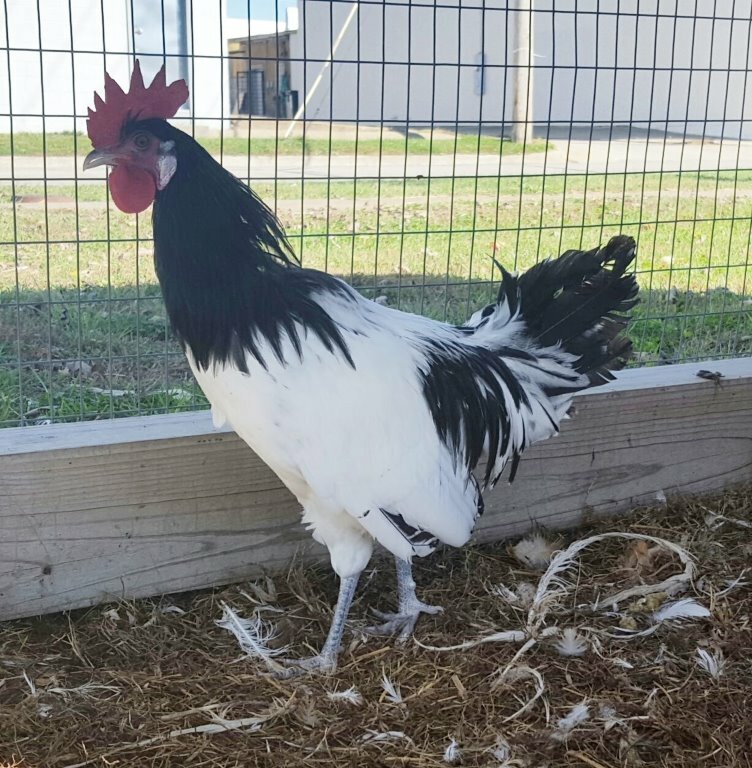 The hen is pretty and the two idiot roosters are just plain mean. Their favorite pastime is fighting. 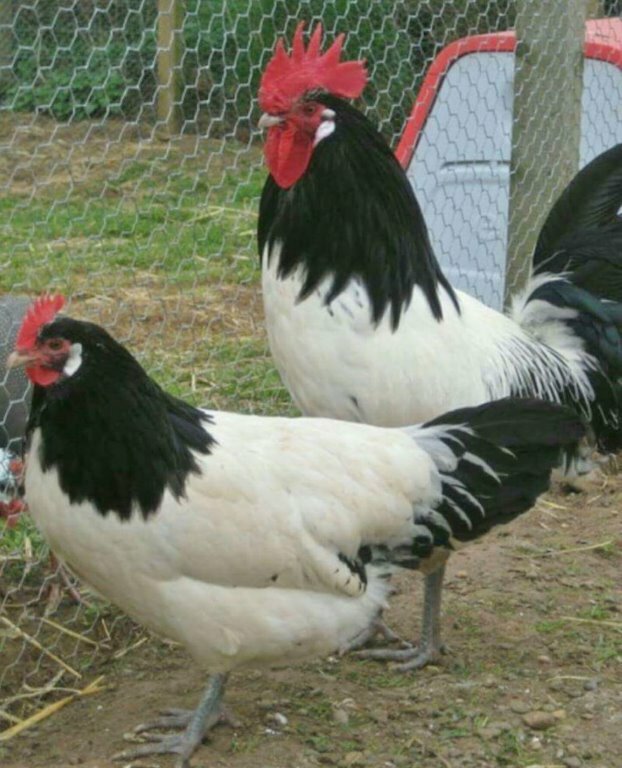 The black and white feathers on their necks flare out and they mean business. 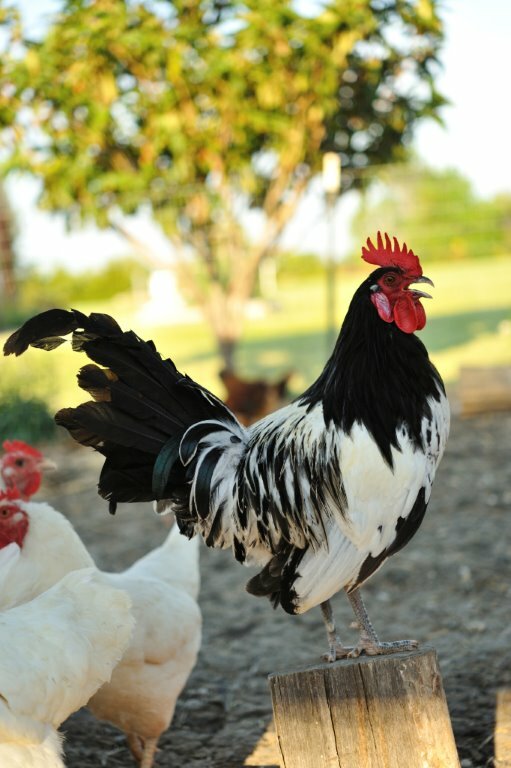 If they take on a Cochin or Brahma they team up and stand shoulder to shoulder and whip all who can't run fast enough. When they have everybody punked they turn on each other. 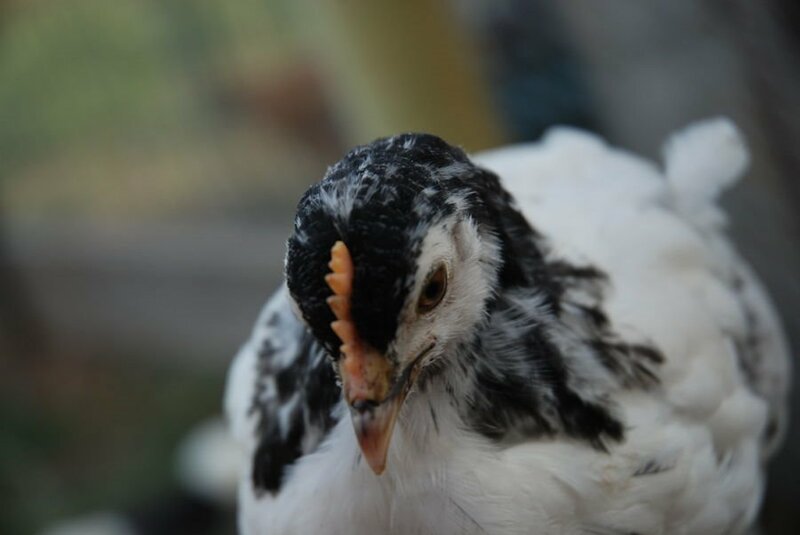 They are only 2 months old so I'm not sure how they will treat the hens but I'm not gonna find out. 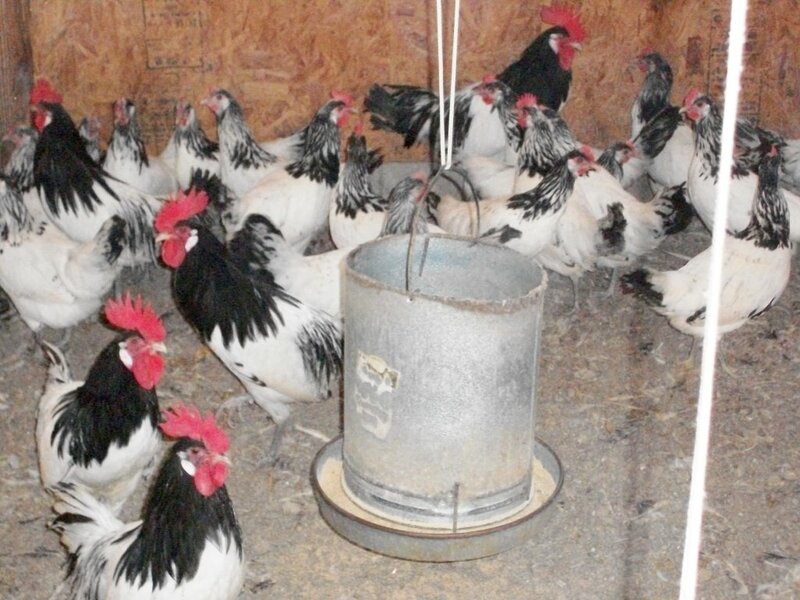 I'm gonna put em in a pot and let em fight with the onions and carrots as soon as they are worth plucking.